Wikileaks has just published a new batch of the Vault 7 leak, exposing the documentation and source code for a CIA project known as "Scribbles." Scribbles, a.k.a. the "Snowden Stopper," is a piece of software allegedly designed to embed 'web beacon' tags into confidential documents, allowing the spying agency to track whistleblowers and foreign spies. 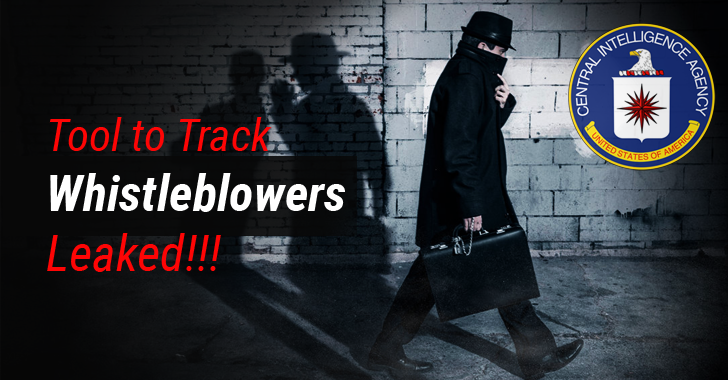 Since March, as part of its "Vault 7" series, the Whistleblowing website has published thousands of documents and other confidential information that the whistleblower group claims came from the US Central Intelligence Agency (CIA). The CIA itself described Scribbles as a "batch processing tool for pre-generating watermarks and inserting those watermarks into documents that are apparently being stolen by FIO (foreign intelligence officers) actors." This technique works exactly in the same way as the "tracking pixel" works, where a tiny pixel-sized image is embedded inside an email, allowing marketers and companies to keep track of how many users have seen the advertisement. Using this tool CIA inserts a tiny uniquely generated file, hosted on a CIA-controlled server, to the classified documents "likely to be stolen." So, every time the watermarked document is accessed by anyone, including potential whistleblowers, it will secretly load an embedded file in the background, which creates an entry on the CIA's server, containing unique information about the one who accessed it, including the time stamp and his/her IP address. "It generates a random watermark for each document, inserts that watermark into the document, saves all such processed documents in an output directory, and creates a log file which identifies the watermarks inserted into each document," Scribbles' user guide manual reads. According to the documentation, "the Scribbles document watermarking tool has been successfully tested on…Microsoft Office 2013 (on Windows 8.1 x64), documents from Office versions 97–2016 (Office 95 documents will not work!) [and]...documents that are not be locked forms, encrypted, or password-protected."